St. Clare Parish and School adhere to the "Protecting our Children" Safe Environment policies established by the Diocese of Green Bay. 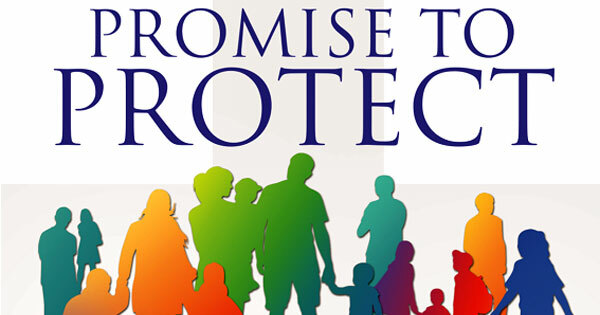 The policies are in place in response to the USCCB's "Charter for the Protection of Children and Young People." USCCB "Charter for the Protection of Children and Young People"
1. All employees, and all adult volunteers who have contact with minors, go through a background check. 2. All employees, and all adult volunteers who have contact with minors, participate in a 3-hour training session on Safe Environment. 3. Select employees read monthly bulletins to keep abreast of Safe Environment information and strategies. 4. All adult volunteers who have contact with minors agree to, annually, a Volunteer Code of Conduct. 5. All minor volunteers who have contact with other minor children are screened and a Youth Code of Conduct is agreed to annually. 6. All supervised volunteers are required to have three personal references. 7. Parents of St. Clare School approve annually, if they desire, a media release form, allowing the school to use their child(ren)'s image on the school website, in the school newsletter, and so on. 8. The confessional at our Wrightstown church has been remodeled to increase visibility (glass paneled doors) and to provide only behind-the-screen confessions. 9. The confessionals at our Greenleaf and Askeaton churches are being considered for some remodeling to also increase visibility and provide only behind-the-screen confessions. 11. The door to the priest's office has been refitted with a glass panel from the old convent in Wrightstown to increase visibility. 12. Saint Clare has three Local Safe Environment Coordinators (LoSECs) who assist the priest in Safe Environment compliance and awareness. 13. Any youth activities have at least two adults present. 14. We view school buses (especially when used for field trips) as an extension of the school building; no adults (even parents) are allowed to travel with students who have not completed the necessary Safe Environment prerequisites. The teachers and the principal are responsible for overseeing this.